Markus Homm joins Hive Audio. Originally hailing from Romania and now based in Germany the new addition to our roster has defo left a mark on the scene over the course of more than a decade with releases put on the circuit via prolific labels like Highgrade Records, Ostwind, 8bit, Bedrock, Poker Flat Recordings and many more. With his label debut named „My Lead EP“ the ever active producer is presenting a new serving of three fresh tracks accompanied by a remix crafted by Dario D'Attis, all carefully prepared for massive dancefloor impact. 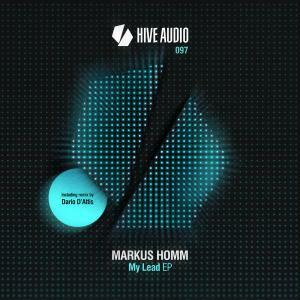 The title track „My Lead“ represents the value of Markus Homm's production skills to the fullest, starting out on a fever'ish late night vibe that's transformed and levelled up to pumping, uplifting territories by distinct hi-hats and a multilayered synth motif slowly injecting more and more joyful dancefloor ecstasy into ever heaving crowds. Excellent stuff on the brink between raw House and TechHouse. On remix duties for „My Lead“ is our man Dario D'Attis who's adding a well muscular pump and highly seductive groove to the vibe of the original tune whilst scintillating atmospheres, additional percussions and a slightly dubbed out feel steer the track straight to the peak of every high quality House set for a reason. Finally the concluding cut „Discovery“ brings forth more of Markus Homm's trademark groove works paired with classic soft, slightly dubby and yet well distinguishable stabs sitting atop a thought out percussion arrangement leaving enough room for rising, large scale string waves and intricate melodic powerplay that's about to make every punter smile brightly whenever this tune comes on.